Here’s how your CSR funding can help support ‘mud-on-the-boots’ conservationists working to protect India’s vanishing wildlife! Here’s what Cara has to say about this project. What does shepherd Urs Khan from Rajasthan have in common with Nyishi tribal elder Takam Nabum in Arunachal Pradesh? They’re both Project Leaders under the Sanctuary Nature Foundation’s Mud on Boots Project. 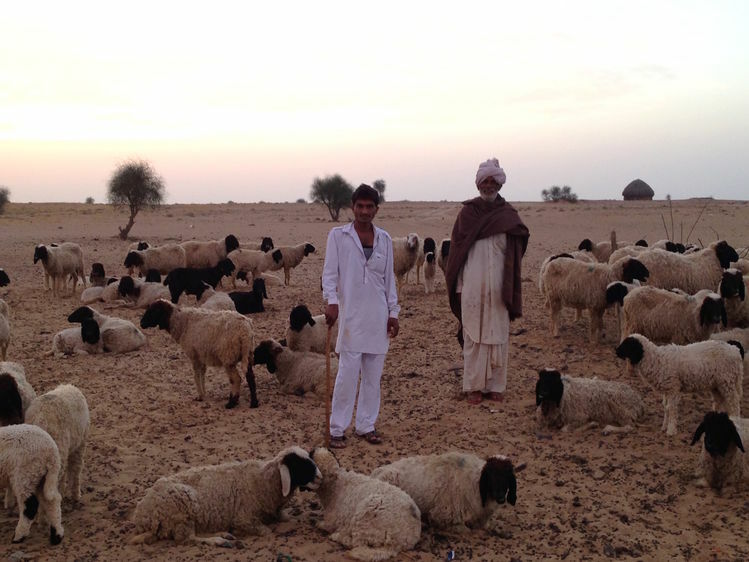 Urs (pictured with his father and flock, above) protects the habitat of the critically endangered Great Indian Bustard, while Nabum ji leads community conservation initiatives in the buffer of the Pakke Tiger Reserve. In January 2017, I worked with Sanctuary to launch the Mud on Boots Project, a programme designed to empower and support grassroots conservationists in India, regardless of their academic qualifications or affiliations. The Project provides a fixed monetary grant to selected Project Leaders to execute specific conservation projects over a period of two years. In addition, we work to raise the profiles of these grassroots workers, communicate their conservation imperatives, connect them to pertinent organisations and forward their causes. Our current 12 unconventional Project Leaders may not speak English, use Facebook or have gone to school, but they are saving lives, impacting policy, engaging with communities and protecting the stunning wildernesses that gift us clean air and water. Through this crowdfunding campaign, I aim to raise funds for two new projects thus expanding this incredible network of earth heroes who work against all odds in the service of nature. 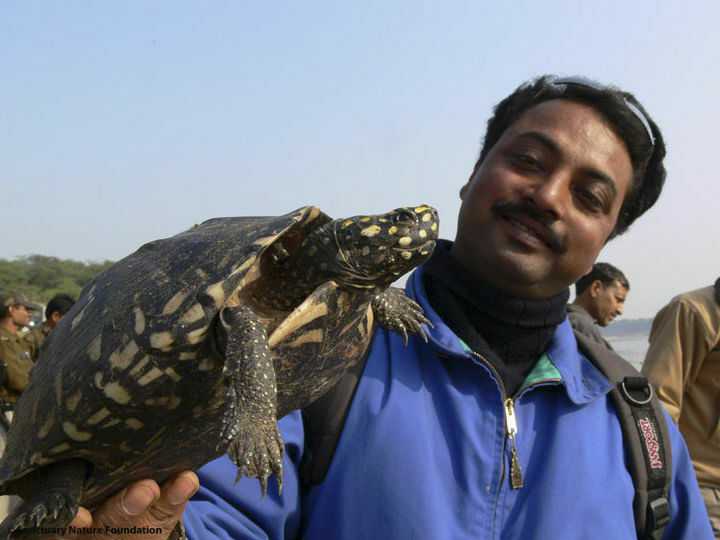 Each of our Project Leaders – from Sunil Harsana who works to protect Haryana’s sacred Mangar Bani forest to Sajal Madhu who mitigates human-elephant conflict in Chhattisgarh to Zakhuma Don who works as a forest guard in Mizoram’s Dampa Tiger Reserve to Rajeev Chauhan (pictured with a rescued spotted pond turtle) who defends gharial habitat along the Chambal river – is inspirational! Your support will allow us to identify and empower more such quiet individuals who walk in and work for wild India. P.S: The Project Leader in the main picture is Manoj Gogoi. Manoj lives in Assam, near the Kaziranga National Park, and specialises in wildlife rescue and release! Want to Fund this Project? Visit Ketto.org here and support the cause. If you have a social project that’s high on innovation and impact, but running low on financial fuel, do write in to Nidhi Singh at nidhi@csrlive.in with your proposal, and we’ll feature it on FUND MY PROJECT. Cooking Delights’ to ‘Spreading Smiles’ ! How to Celebrate Eco-friendly Diwali ? CSR Live is positioned as India’s most credible livewire Online News platform dedicated to bringing all stakeholders in the CSR sector together with News, Updates, Policy Analysis, Corporate-Community Interactions, Expert Opinions, Annual Symposiums and Proprietary Award modules. Big Move : Volvo Cars To Remove Single-Use Plastics From All Offices ! Republic Network Partners With CAF India To Nurture The Culture of Giving !